A decadent dessert for those who love to indulge; rich, creamy butterscotch with a splash of whisky, what's not to love? A perfect treat to make for any occasion. My husband Luke has always had a particular soft spot for butterscotch. More specifically: the powdered butterscotch pudding that you buy in a packet and mix with milk, beloved of many a child of the eighties. This home-made version of that childhood classic stars dark muscovado sugar, real vanilla and plenty of full-fat cream and milk. 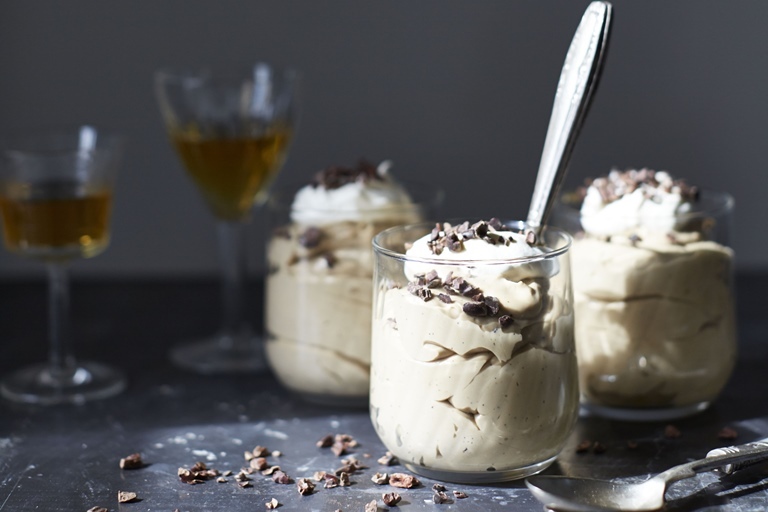 A cheeky slug of Scotch stirred in at the end makes this indulgent pudding a little closer to a devil's delight than its angelic namesake, but the flavour is truly divine.